When you go to a dental office, you want to know that the quality of the care you are receiving is the best available for treating all your dental concerns. 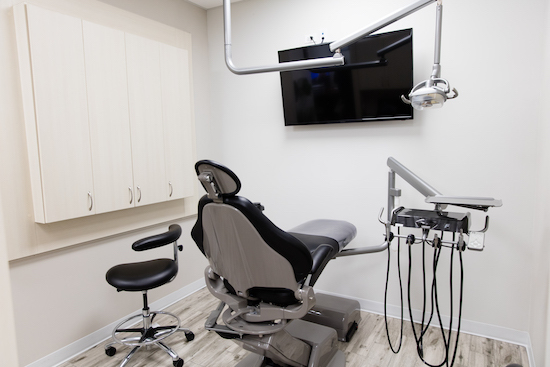 Not only do we offer state-of-the-art office space, but a patient-focused approach to making your life easier, along with making your mouth healthier. 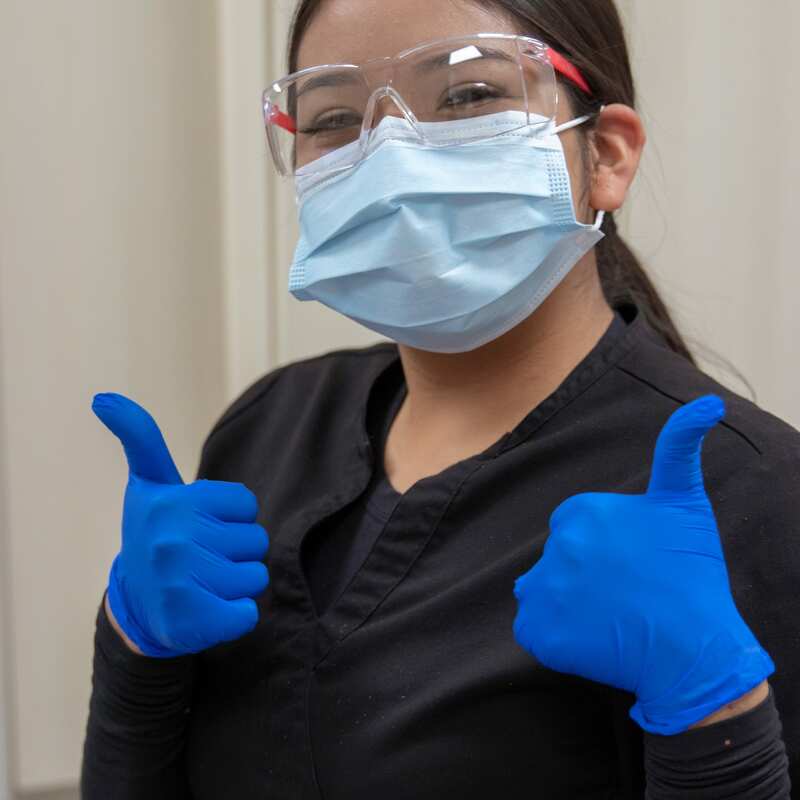 Few people go to the dentist with a smile on their face, but we want all our patients to leave with one. 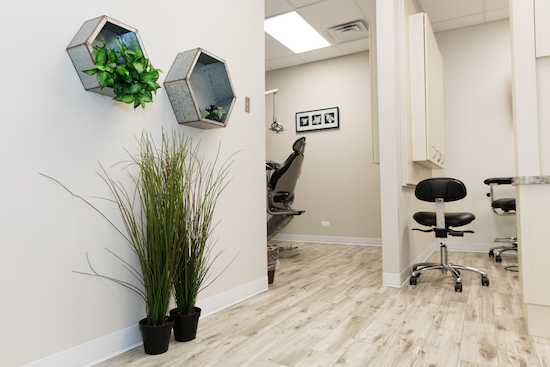 Our award-winning New Family Dental office is designed to ensure you leave feeling happy with your smile, prepared with a plan for your next visit and trusting it will be an experience you don’t need to dread. 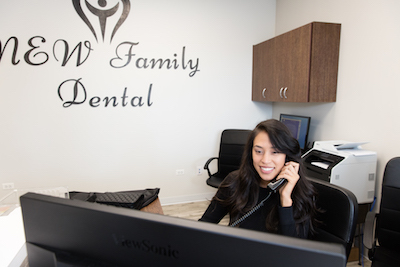 Our patients are so happy with the quality of dental services they receive here that they often refer their friends and family to our office. 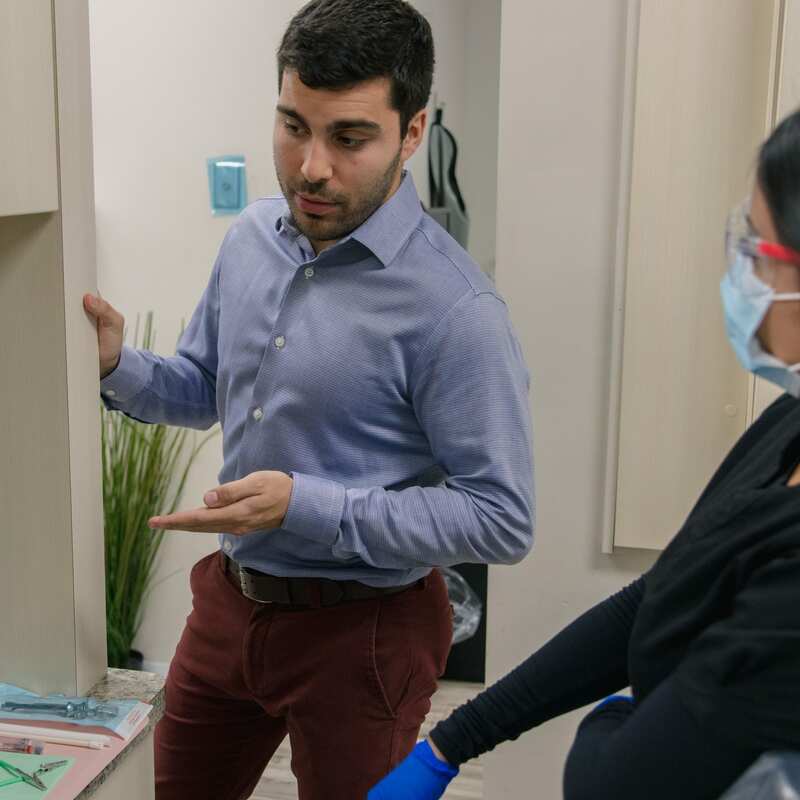 In fact, the vast majority of our new patients come through referrals, not just because we are great at creating beautiful smiles, but because we are dedicated to working with your schedule, and making sure you get to spend more of your precious time doing the things you love. 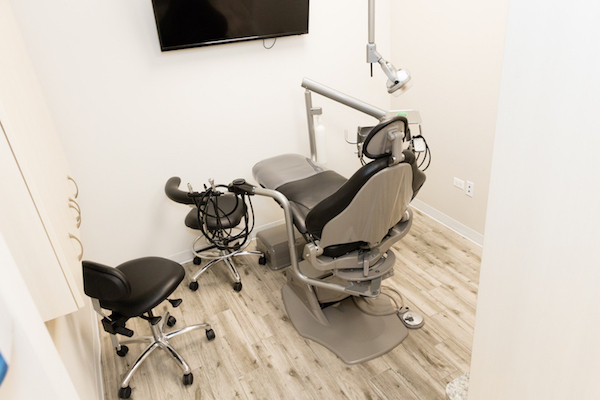 No matter how great your dentist is, it’s safe to say that you would rather be anywhere else than at the dentists’ office, right? At New Family Dental, we understand. We love seeing the smiles on our clients’ faces when they leave our office, but our goal is the same as yours. Believe it or not, we want to see you and your smiling face as little as you want to see us. People avoid the dentist for a lot of reasons: fear of the unknown, fear of pain, and shame about poor dental habits are just the beginning. All these feelings keep people from letting their dentist take proper care of our smiles. We want to do everything we can to alleviate your fears. 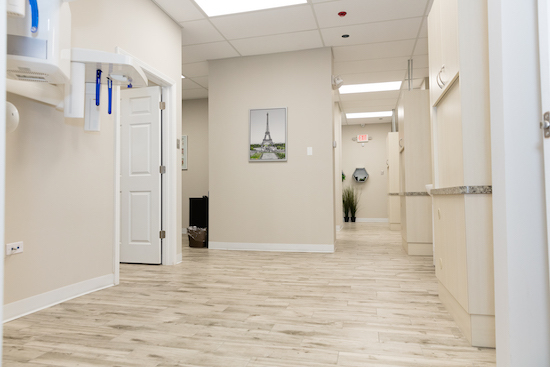 Our top-of-the-line dental technology and the high quality of service we offer to everyone who walks through our doors allows you to choose the best dental treatment to meet your individual needs. 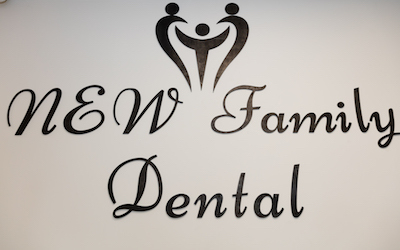 Not only can we help heal problem areas in your smile, but we will work with the entire family to develop habits for healthy mouths that last a lifetime. 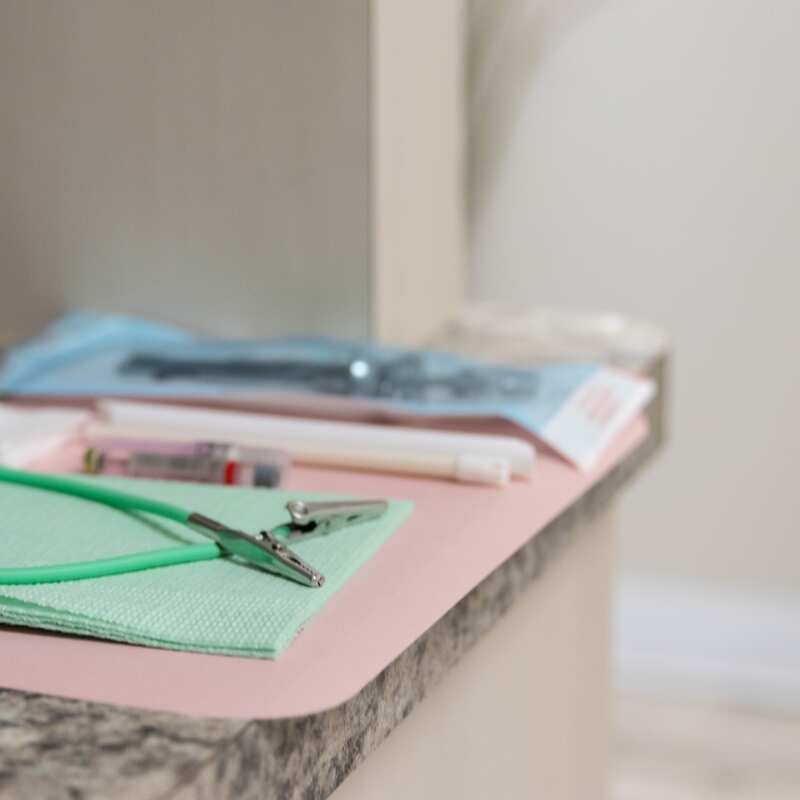 Dental hygiene may seem like something disconnected from your physical and mental fitness, but a healthy mouth is absolutely vital for every other system in your body! 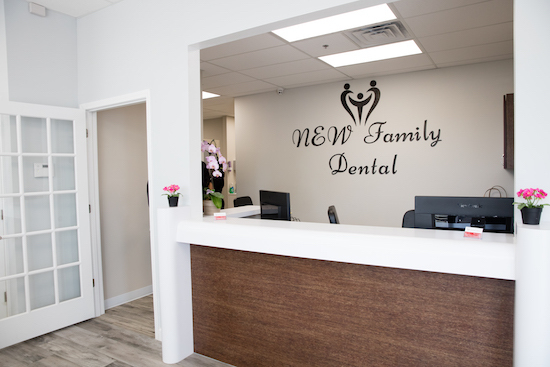 Our experienced dentists at New Family Dental can detect small issues early on before they become big problems, and help you determine the best plan of action. 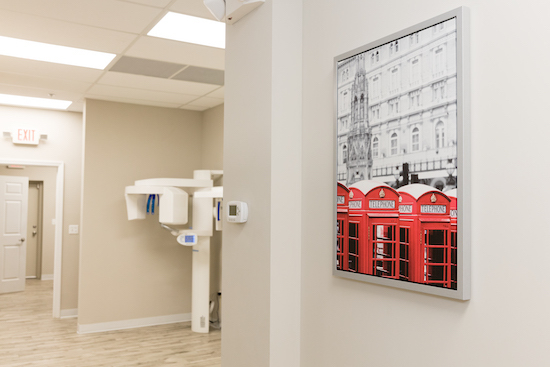 We offer the simplest solutions to fix any problem areas you may already have, so you can come to your appointments trusting that your smile is in good hands, and walk away from your treatments knowing that you are receiving the best care available from the most experienced dentists. Having a dental team you can trust means walking away from your appointments with a smile others find trustworthy. 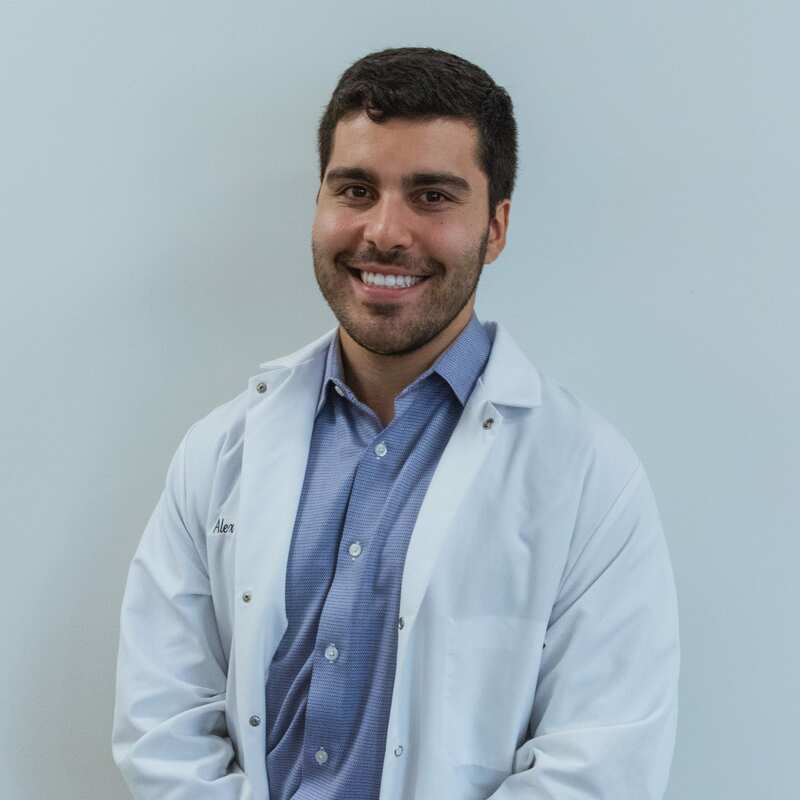 We never want our clients to hide their beautiful smiles, and not just because we love to see those pearly whites! Researchers have shown that great teeth give people an edge, both in business and in romance. Various studies have looked at the ways that having a healthy smile improves your performance in two different ways. First, having a smile that you love increases the confidence you have in yourself. Second, even if you aren’t feeling great about yourself (we all have bad days) it boosts the confidence that others have in you as well. While you might attribute the confidence boost that you get from a healthy smile to the improved reaction that smile gets from others, that isn’t the only explanation. Smiles are their own reward… a powerful biochemical reaction in your own body! Whether you are the type of person who struggled with your own dental routine, or who has a solid habit of your own, if you have a family it’s likely that in one way or another, you’ve had to fight to keep healthy habits that work for everyone. 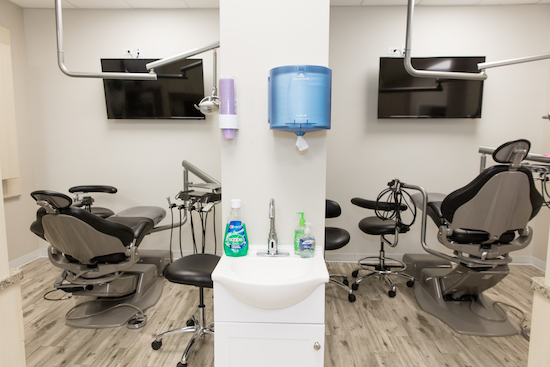 Kids can be difficult when it comes to keeping their mouths clean, but we pride ourselves on being a family-friendly practice. 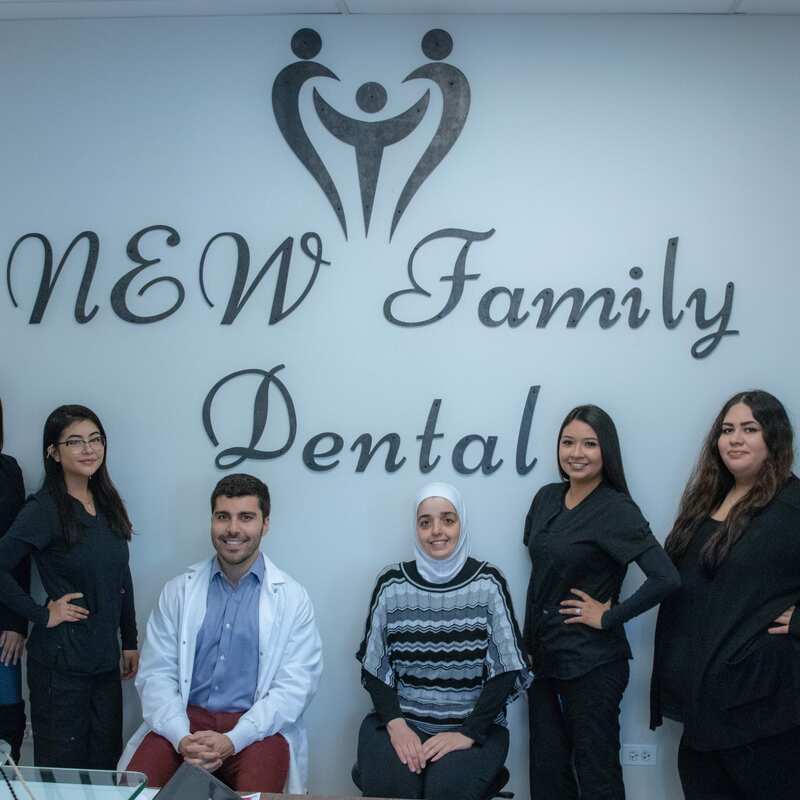 Our team of experts at New Family Dental offers you and your family the best offense going forward – the solid foundation of a dental health routine. We will work with you to bring healthy habits back from the office into your home. Most kids hate the dentist even more than their parents do! We want kids to know that we are on their side. 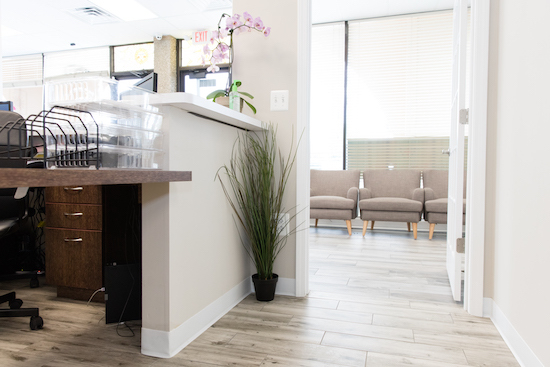 Our friendly staff seeks every avenue to support your dental health and the dental hygiene of your entire family, from day one. Let us know where you are struggling to make changes, and we’ll help you to get where you need to be. 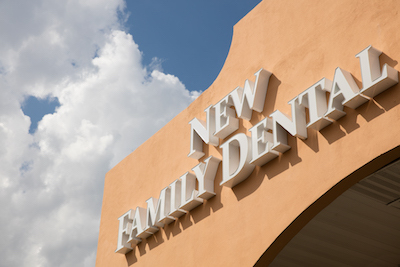 The doors at New Family Dental are always open to new patients of all ages, and we are dedicated to ensuring everyone who comes to us receives only the highest quality dental care. 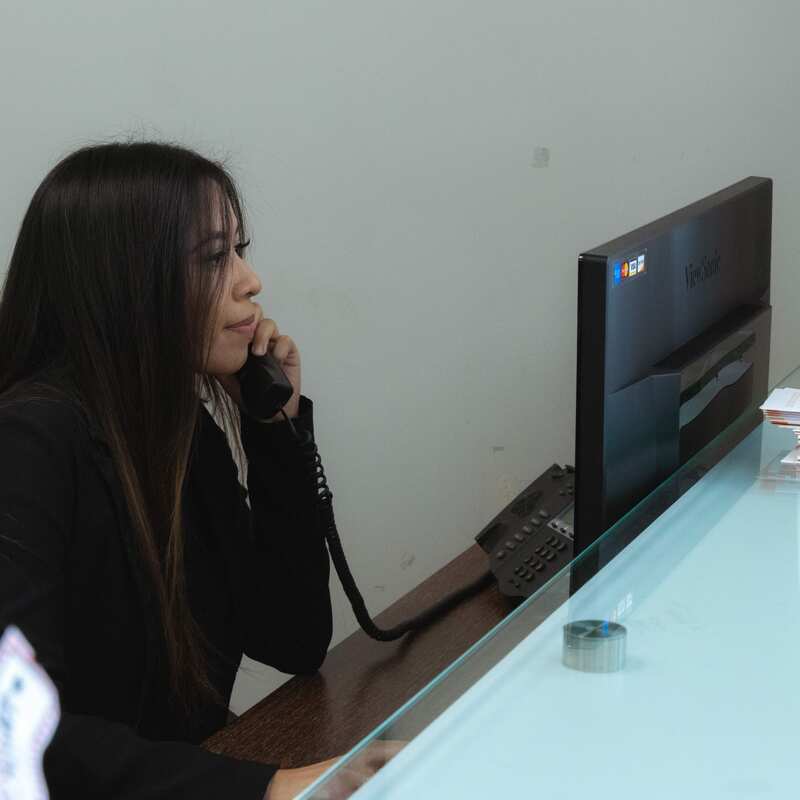 We know from all our word-of-mouth referrals that you will leave our office with as much confidence in us as you will have in yourself, boasting a smile that you can be proud of. The simple act of smiling causes a positive feedback loop in the brain with mind-altering effects. The wider the smile, the more powerful the response. Yes, that’s right, smiling really can make you happy! And we want you to smile as much as possible. 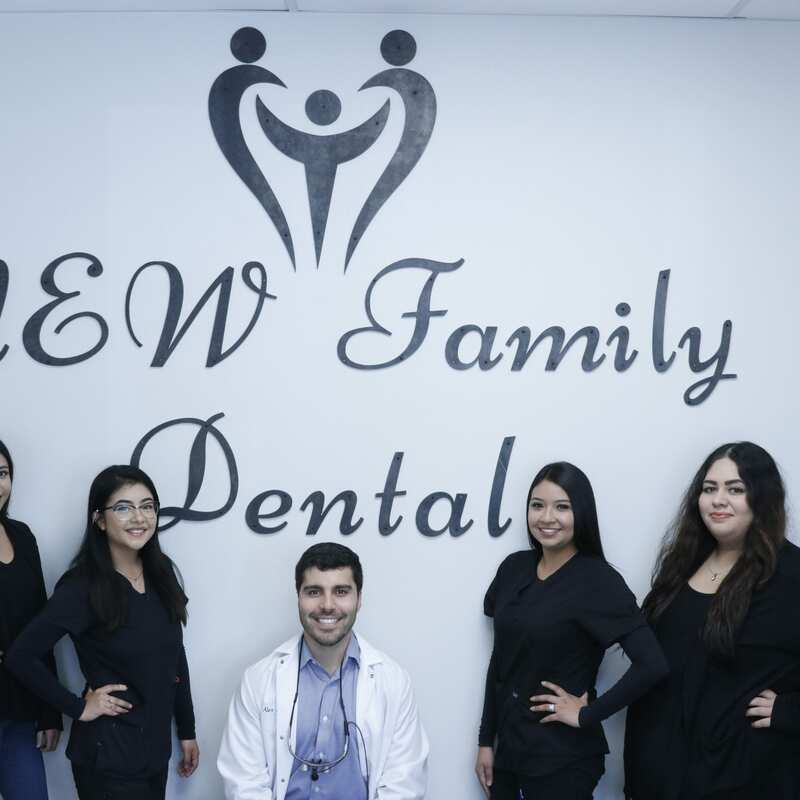 Copyright © 2016 - 2019 New Family Dental. All Right Reserved.